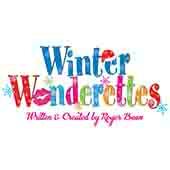 The well-loved Wonderettes are back and better than ever! This whimsical musical comedy finds the four-girl singing group entertaining at the annual Harper's Hardware Holiday Party. When Santa goes missing, they use their charm, talent and creative ingenuity to save the day! Featuring fabulous 60's versions of holiday classics including "Santa Claus is Comin' to Town," "Jingle Bell Rock" and "Winter Wonderland,"